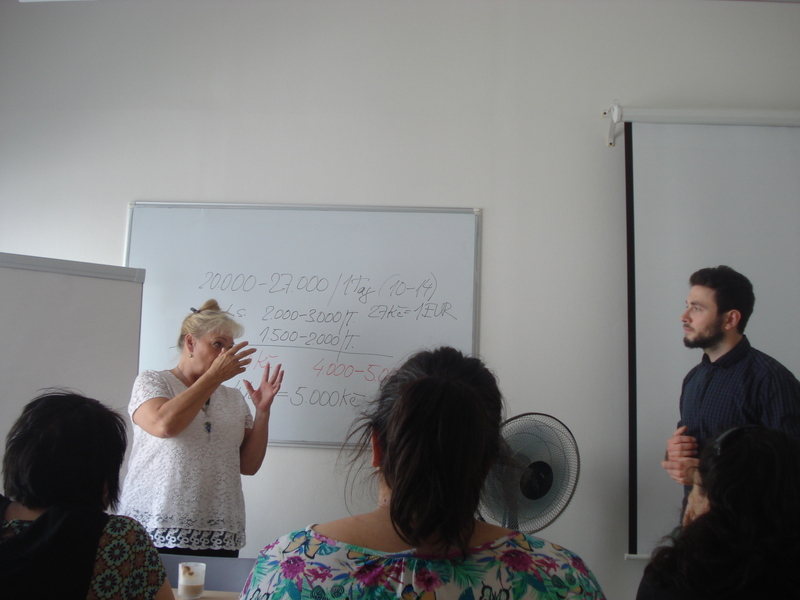 Within the Erasmus+ Work Programme for VET Staff Mobility, financed by the European Union, EUDA organized a course for a group of VET (Vocational Education and Training) lectors from Bulgaria together with Bulgarian organization BARS Consult Ltd. The mobility spanned the period of 15 days, took place in Prague, Czech Republic, and consisted of specialized course and 4 study visits in various vocational institutions. 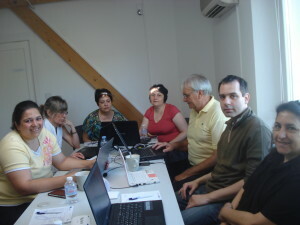 The group was in Prague from the 5th to the 19th June. The main topic of the course were online learning platforms for VET and specifically the Czech experience with the use of modern technologies in the provision of Vocational Education and Training. The specific aims of the courses were to improve the participants´ competences to introduce and use online learning platforms and the exchange of experience with local (Prague-based) VET organizations. 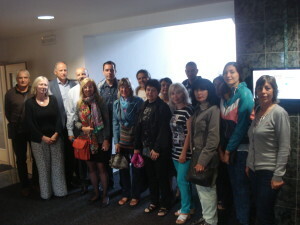 The visiting group was made up of twelve lectors, aged between their twenties and sixties, with varied experience with Vocational Education and Training, from diverse educational fields (ranging from technical subjects to languages), and with different experiences with online teaching platforms and the use of modern technologies in the teaching process. The group has gone through a course consisting of lessons on the basics of e-Learning, distance learning, and online learning in VET, as well as the fundamentals of the VET market and management. Those lessons were followed by more detailed lessons on the use of modern technology and specific tools used in online learning, as well as lessons on individual methods using modern technology in education, such as synchronous and asynchronous online teaching. The participants have learned how to use programs such as Prezi and tools such as virtual classrooms and social networks. To further deepen the knowledge acquired in the theoretical lessons, study visits to institutions providing VET were organized. 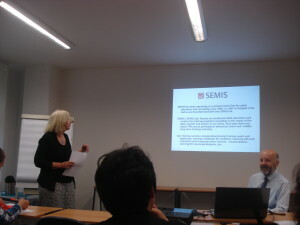 There, the participants were introduced to the practical use of modern methods of teaching, and the way those Czech organizations implement modern technology in their education. 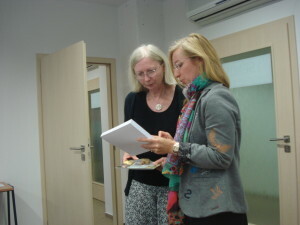 The first study visit took place in Vocational centre VOX, one of the leading companies in the field of adult learning in the Czech Republic. Later, the group visited a Secondary Technical and Vocational School Zeleny Pruh, where the participants had the opportunity to try to work in the ProfiCAD program and learn about the European (or International) Computer Driving License (ECDL). Then, they visited vocational school SEMIS and at the end of their course in Prague, the group visited the Association of Adult Education Institutions in the Czech Republic (AIVD), where they could try out the use of various interactive applications in vocational training. Meanwhile, the group of lectors also had the opportunity to tour Prague and other places in the Czech Republic in their free time and on the weekend they spent in the Czech Republic. Through this combination of lessons and study visits, of theoretical and practical knowledge, the participants have learned how to implement modern methods and the use of technology and online services into VET. They exchanged their own wide and varied personal experiences with the lecturers in the organizations they visited and should now be able to improve the quality and the attractiveness of VET in their respective learning institutions in Bulgaria.